As USD is getting stronger by the Fed announcements and the China positive export reports, EUR is losing its strength due to the negative reports in Eurozone. Today the bearish trend will be more probable. EURUSD is falling down the descendant channel since the previous high at 1.14640 in 12th of April. Support is resting at 1.12490 and resistance at 1.12690 which both are below the weekly pivot point at 1.13860 and above the monthly pivot point at 1.12030. The MACD indicator is in negative territory signaling the price decline with the RSI below the 50 level which shows the same prediction. 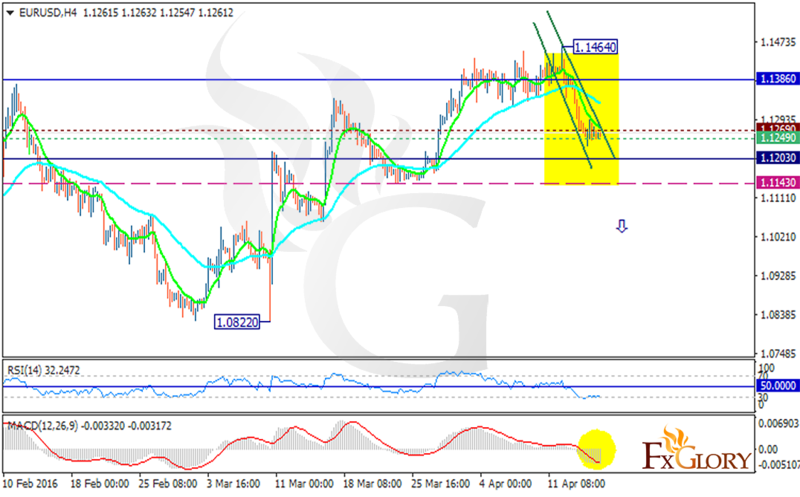 There is not enough evidence to trade for this pair at the moment but the 1.11430 breakthrough will be a good signal for further decline.